We are a small company with a focus on delivering high quality software to our customers. Therefore every developer represents a substantial share of our organization. Every time we hire, we need to make sure that the decision in favor or against a new employee is profound. So we established a recruitment process that tries to evaluate and communicate both our requirements and the possibilities of the candidate. Without going into details, this is how we will interact with you if you apply for a job. The first contact is usually an application including a curriculum vitae sent to us by the candidate. We will read your application and look for possible matches with our required skill set. If there is a chance to work together in the future, we will answer back with an invitation for a first talk, usually done via telephone. The first talk is mostly a getting to know each other on a communicative level. We might ask some questions about your curriculum or past jobs, but the main purpose is to establish a mutual understanding. We probably end the talk with an appointment for a first meeting. We really want to know who you are, not only what you can offer on a professional level. Remember that you will represent our company substantially if we hire you. Both sides need to be sure that they understand what they commit to. Because it always is a real commitment and a substantial investment for us to hire a new developer. The first meeting will be rather short and kept on a casual level. We don’t want to build up pressure, we don’t want to judge your abilities as a developer, we want to get a first impression of you in person. And you will get a full tour of our company and get to know the whole development team, also as a first impression. If you like what you see, we will make an appointment for a second meeting that will go into the details. The second meeting will be much longer and more stressful than the first meeting. The goal of this meeting is the examination of your professional skills. 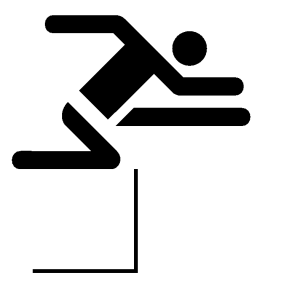 Most companies use trick questions or “how to approach this?” tasks to challenge your abilities to solve difficult problems and deduce your skills from that. We decided not to do that. We want to see your performance in a normal work situation – as normal as it can be under the circumstances. So you will have to program a non-trivial assignment, with the help of the whole team. The assignment doesn’t contain any “tricks” or common pitfalls that you can fall into and a lot of different solutions are possible without us wanting to see exactly one (the “best”). If you are an experienced developer, you will feel at ease with the task. Another important skill of every developer is the quick assessment of existing code in regard to bugs, security risks and bad practices. We have prepared a piece of code riddled with all kinds of quirks and will review it with you. None of us finds them all, too. We orient our work around a set of core values that are very congruent with the values of the Clean Code Developer Initiative. So it helps tremendously if you are firm with the practices of a clean code developer. But we also want to know if you can convey the ideas and principles behind the actual practices, so you will have to explain some of them to us. After this meeting, we will have a fairly detailed picture of your abilities and you will know a lot about the level of skill that we require for daily work. If we come to the conclusion that everything matches, we will invite you to the last official step of our recruitment process, the recruitment internship or probationary work. In the previous steps of our recruitment process, it was mostly us that examined your skills. Now, after we are sure that you might complete us, it’s time that you get a chance to examine us. So we invite you to accompany us for several days in our normal work. You can team up with whoever you want and join in his (or her) development task. You can ask questions. You can just watch. You can complete your picture of us. You can make sure that you will feel comfortable when joining us. If you’ve seen nothing that scares you during your internship, we will discuss the details of your employment, but that’s a topic for another blog post. We don’t hire very often and couldn’t sustain the process for a large number of applicants because the effort required from everyone involved is substantial. But we wanted to make sure that we don’t hire blind and don’t torture our applicants. 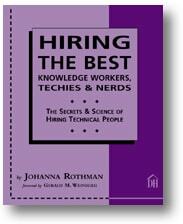 We compiled our process from a lot of sources, mostly blog posts around the internet and one noteworthy book by Johanna Rothman: “Hiring The Best Knowledge Workers, Techies & Nerds”. That’s exactly what we set out to do!